This cold and dreary weather calls for some warm, sunny wines from Australia, and the choices for Australian wine recently got a lot more interesting. There is a new wave of wine producers, nicknamed “Regional Heroes”, that is starting to change the image of wines from Down Under. For years Australia was synonymous with mass-produced, cut-rate wines such as Yellow Tail and knockoffs with cute furry creatures on the labels (“Critter Wines”), but the choices from Australia are now more diverse. The Regional Heroes are producing intriguing wines at reasonable prices that have hit the sweet spot for the American palate and wallet. I was first introduced to the Regional Heroes last Spring at the Nantucket Wine Festival. The Festival was a joyous mob of craziness and exuberance as some of the world’s most expensive wines was being poured. Among the tumult, Joyce Hulm’s table of Australian wines was a island of stability and sensible values. 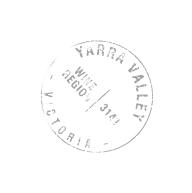 Ms. Hulm’s company, Old Bridge Cellar, imports wines from small, independent growers in Australia. These vineyards emphasize quality and regional diversity (i.e. terroir) rather than quantity, but at a reasonable price. The Nantucket Festival had some spectacular wines, but it was the Old Bridge Cellars that represented the best values. My tasting group recently convened and sampled some Old Bridge Cellars wines from Australia. I have compiled the results below. This wine, from Australia’s master winemaker John Duvall, featured a powerful, spicy, exotic fragrance and taste. I found it to be a silky, oaky, beautiful wine. Some of our tasters even picked up some citrus notes in this complex and interesting wine. This was the tasting groups’ favorite wine from Australia. I would take this wine over any $90 Napa cab. I loved this wine. It featured a delicious dried cherry / raisin scent that reminded me of a fine Italian Amarone. This is a dense, rich, and powerful wine; I would expect nothing less from Australia. I sampled this wine over the course of three days, and it held up beautifully, a sign of a seriously structured wine. This is a big, muscular, distinct wine that will warm you on a cold winter night. It had a delicious dried cherry scent with a touch of oak and a light tannic smack. This is a big balanced wine reminiscent of a Napa cab but at a remarkably low price. I don’t normally associate Pinot Noir with Australia, but this is a lovely wine. It had a delicious smokey strawberry scent on the tongue. It is light but not too airy. This wine is not as ethereal as a New Zealand Pinot Noir, but has more substance than the Kiwi versions. This is a crazy, sinfully-delicious canned wine. Only the Australians could pull this off, and results are fabulous. This is not a delicate, dry, refined wine; it is exuberant, fizzy, somewhat sweet, pink fun. The most interesting, diverse wines I have had from Australia are the wines from the d’Arenberg winery in McLaren Vale. This is a family run winery owned by Chester Osborn. The Australia wine industry is full of colorful characters, but none more so than Osborn. He produces a dizzying array of wines, only a few of which I have tried, alas. This wine is an innovative mix of black (Shiraz) and white (Viognier) like like the plumage of a magpie. It sounds crazy, but it works. This wine was unlike anything I have ever had. Its scent seemed to change as I sipped it. First it had a distinct ocean smell which dissipated; then the taste was warm and smooth. It is a complex wine for the adventurous wine tasters who wants something different. This is my favorite dArenberg wine so far. It is a delicious Chardonnay, but different than any other Chardonnay I have ever had. This is an outstanding and intriguing wine.